I'd like to make this New Year's Garland. Champagne and fresh blooms in the mail? Yes, please! A great little tutorial on lining envelopes with fabric. This book launch in a domestic-like setting made entirely of cardboard is super. I hope you have some fun plans today, friends? I'm thinking of taking inspiration from the rocking sweet paul and going white for Halloween this year. I mean, white pumpkins? So cool. 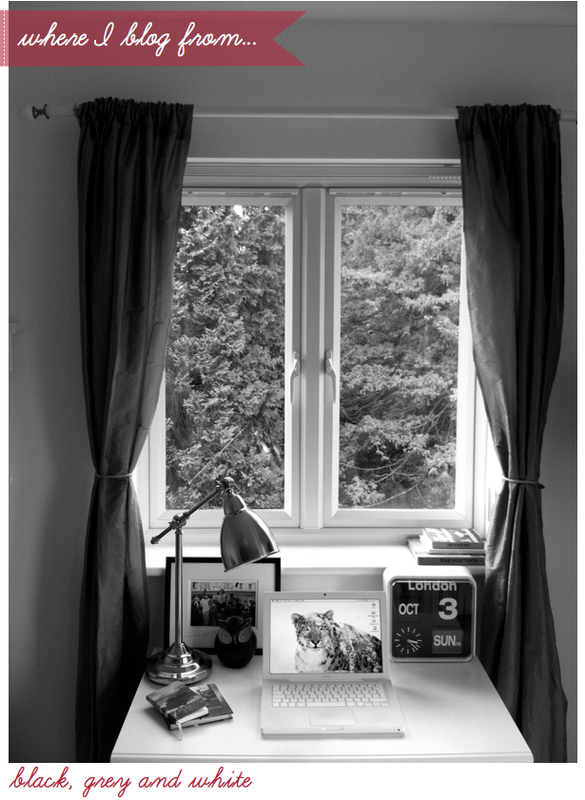 Once your pumpkin is sorted why not treat yourself to some new stationery or a 2011 calendar from modernemotive's online store? 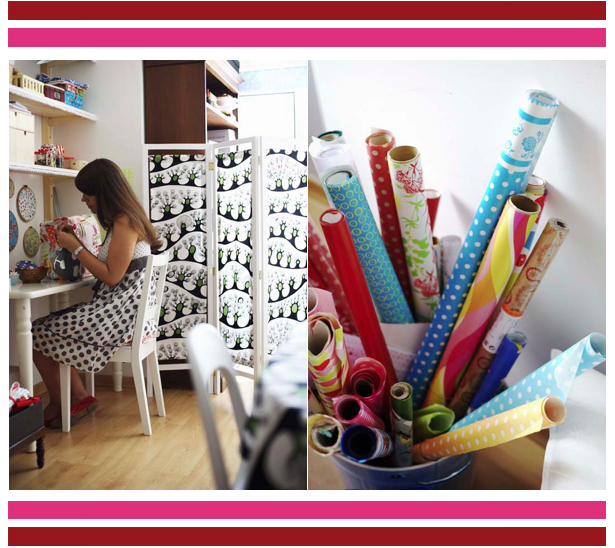 Adele, who designs these delightful paper goods, is kindly giving Bright.Bazaar readers 20% off until the 3rd November. All the deets are below and you can shop her stationery on Etsy or Big Cartel. Time for me to dash off; wishing you all a wonderful weekend! Friends, grab your paintbrushes and throw on a fabulous pair of overalls because it's time to strive forwards and embrace the bold adventurer inside of you! This cocktail is perfect for those of us who like to dance the night away, but is also good for the traditionalists amongst us who like a cheeky flirt with fun every now and then. Belong to the former group? 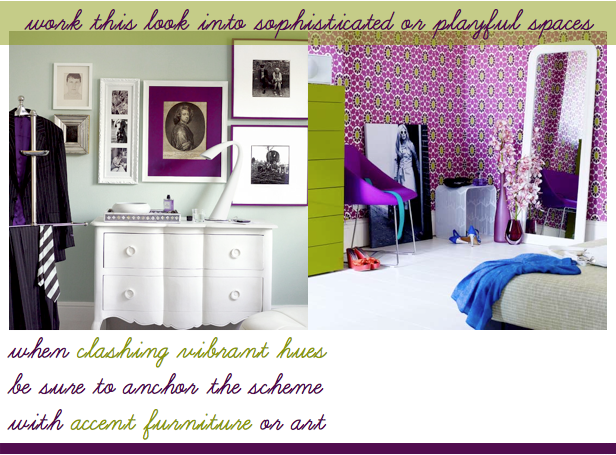 Well, you'll have no problem embracing a vibrant green coat stand or going all out with the retro wallpaper. 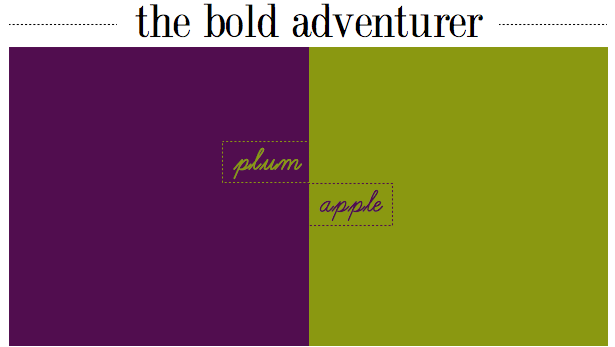 If, however, you're lifestyle is more high tea parties than all night parties, then keep things more formal with a flash of bold. To add a little flair to your scheme try adding a purple mount to one of your favourite prints or even a luxe throw over your best armchair. 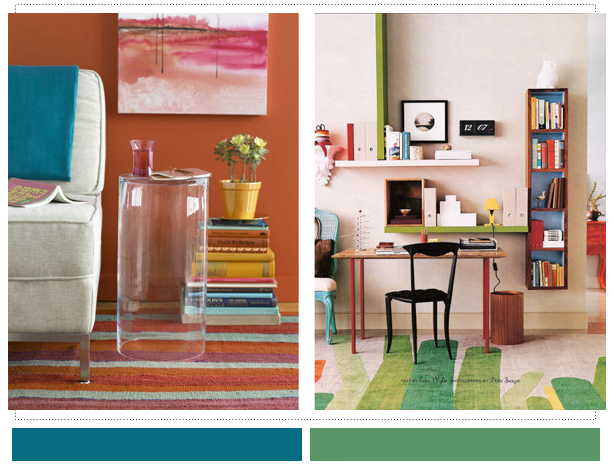 Either way, this cocktail will bring a bundle of happiness to your space. I've always been interested in the extras. You know, the little things in life. When I go clothes shopping I go straight to the accessories section and similarly with home stores, where I tend to bypass the furniture floor (clearly I head back after!) 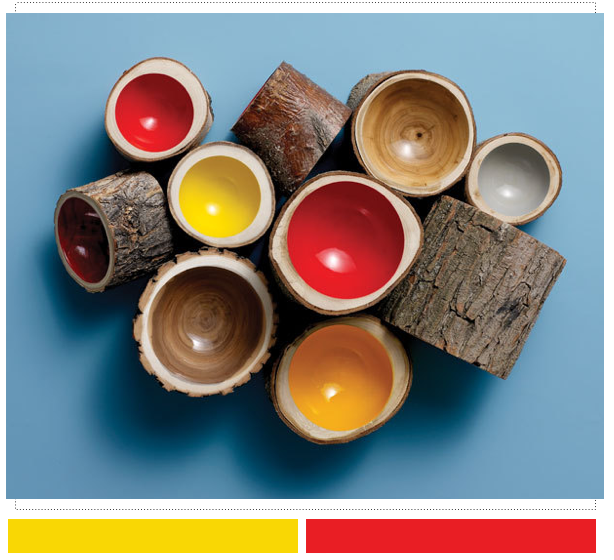 opting for the lighting, ceramics or textiles areas first. 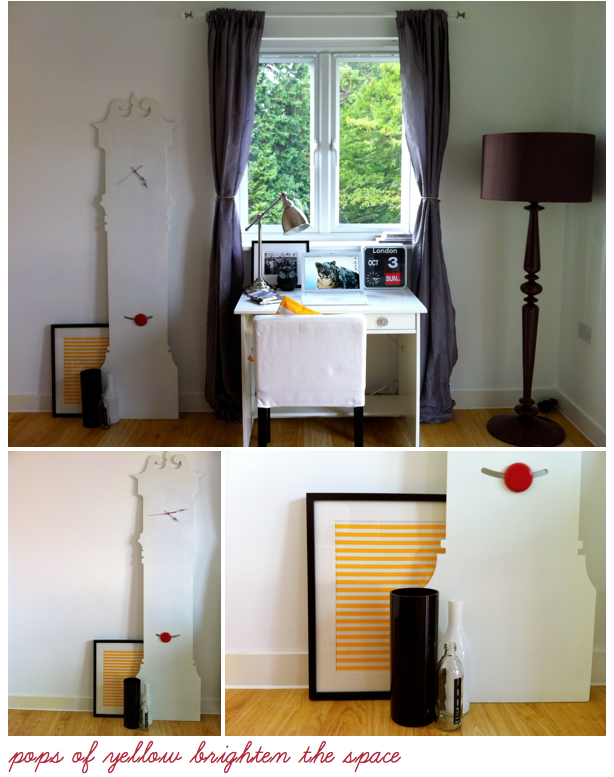 The ability to change up the feel of a room with a flutter of new accessories is considerable. 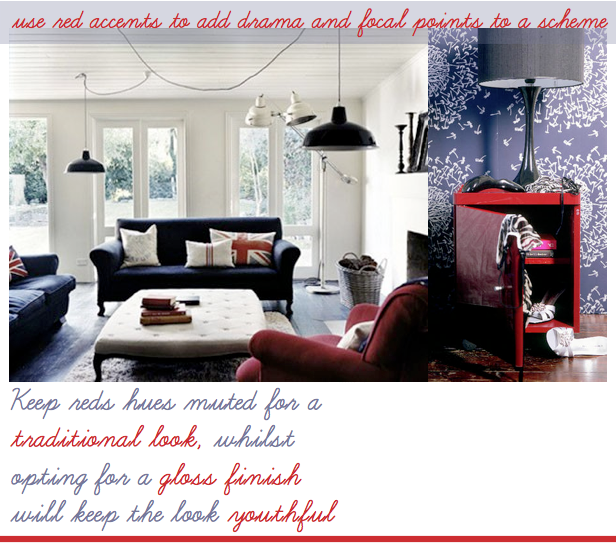 Switching the lampshade on your reading lamp or alternating your pillow covers can inject new life into a scheme with little outlay or effort. 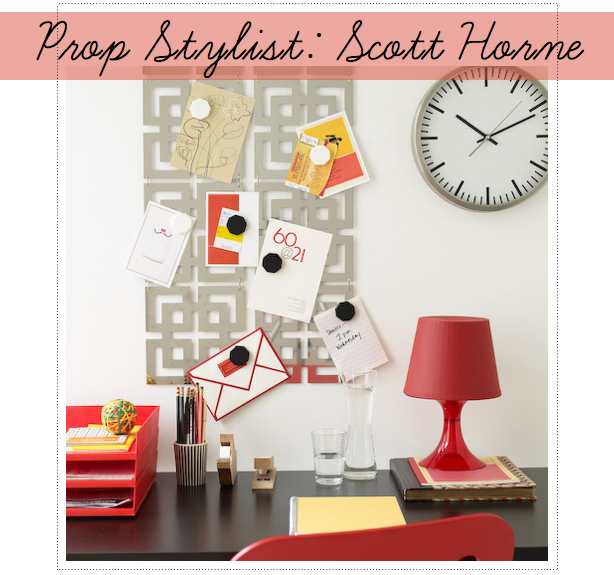 That's why I'm so impressed by the work of New York City-based Prop Stylist Scott Horne. 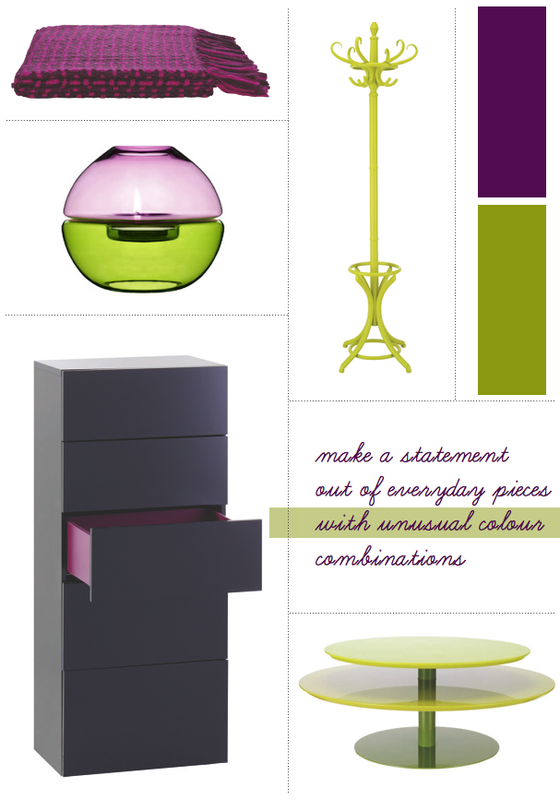 His portfolio demonstrates an excellent attention to detail, whilst his ability to bring colour into a space is inspired. 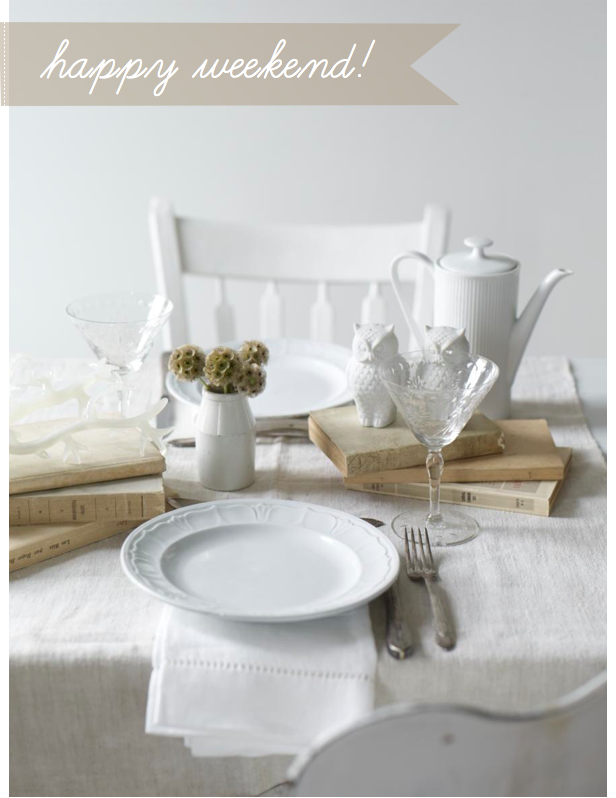 Not only does he sprinkle his styling sparkle in interiors, he kinda rocks food styling as well. Check this dude out! 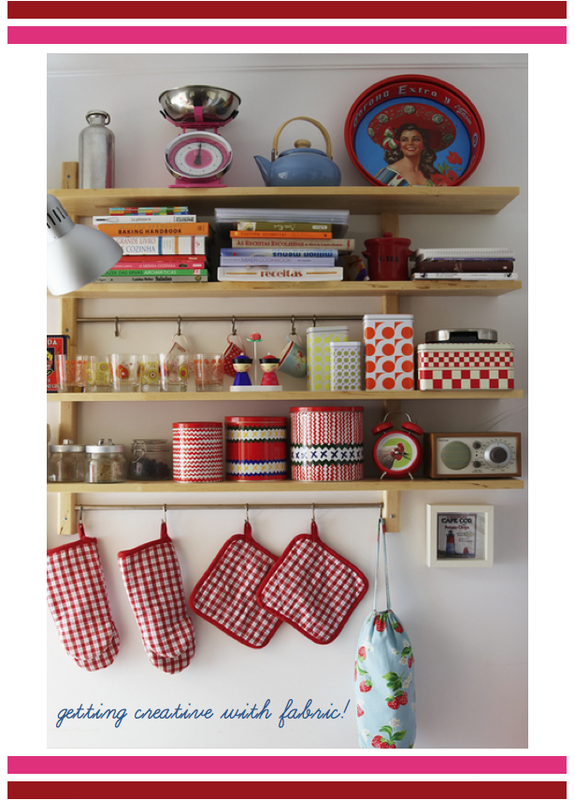 These days the mere sight of open shelving sends me weak at the knees. 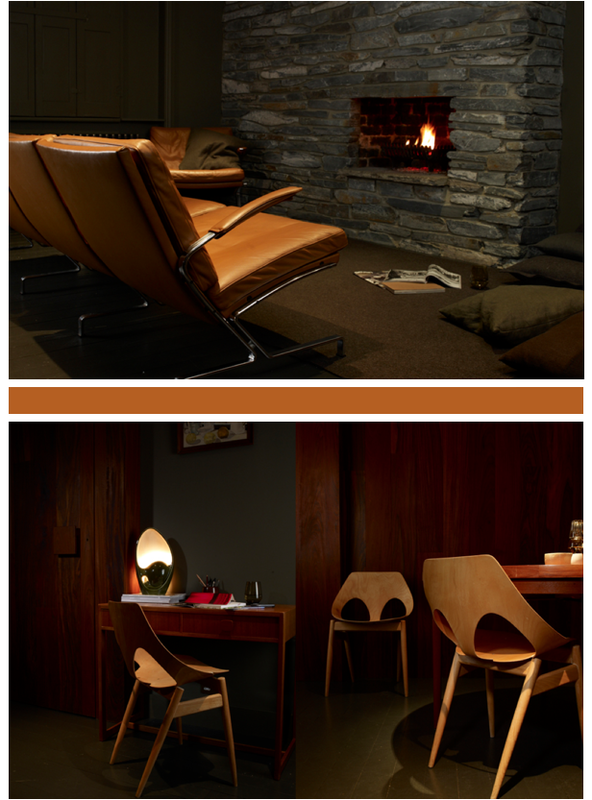 Who knows what is it, but something about the effortless, relaxed style they create appeals to me. 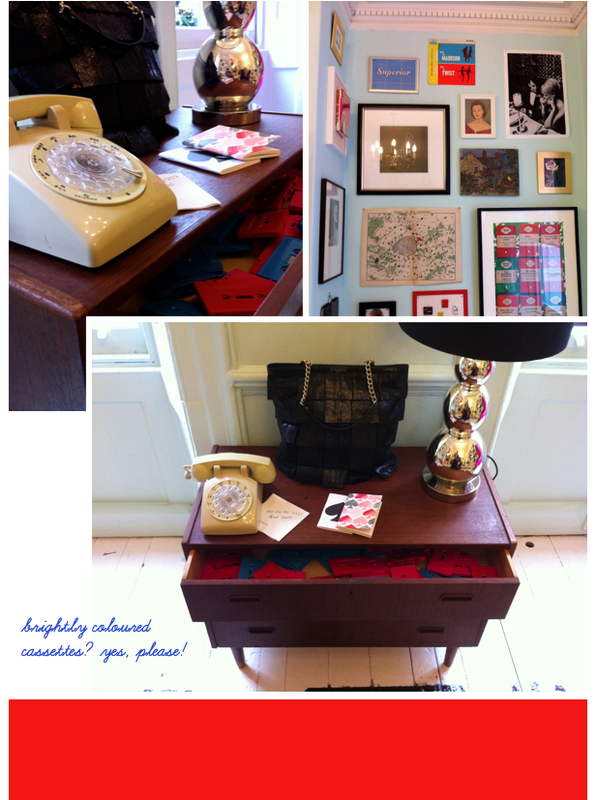 You'll understand, then, why I jumped for joy upon finding the wonderfully creative home of Constanca. 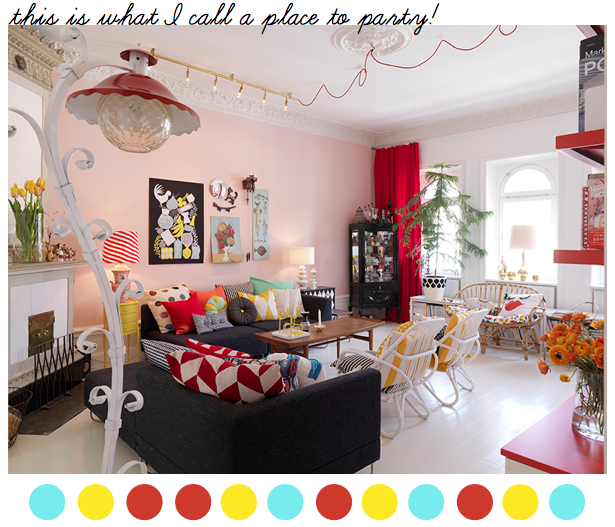 Colourful, crafty and bubbling over with personality, Concha's British home is testament to her love of all things handmade, which you can read about in the about section of her blog. 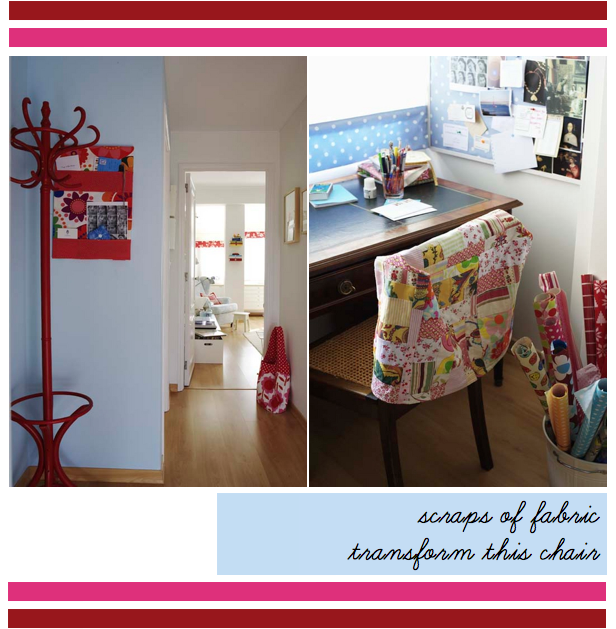 This tour of her space is filled with both easy, and useful, tips for using fabric around the home. 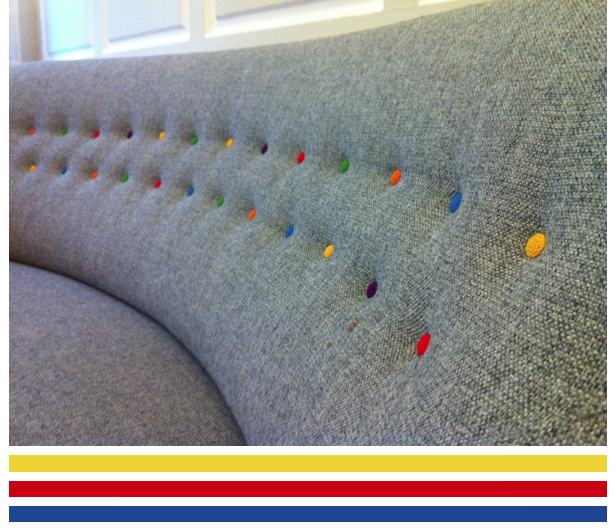 From colour coordinated jam jar toppers to screens and chair backs, Concha really has crafted her home by hand. In fact, I think it's charming how coloured fabrics stored in glass-fronted cabinets have become the decorative accessories to her home. 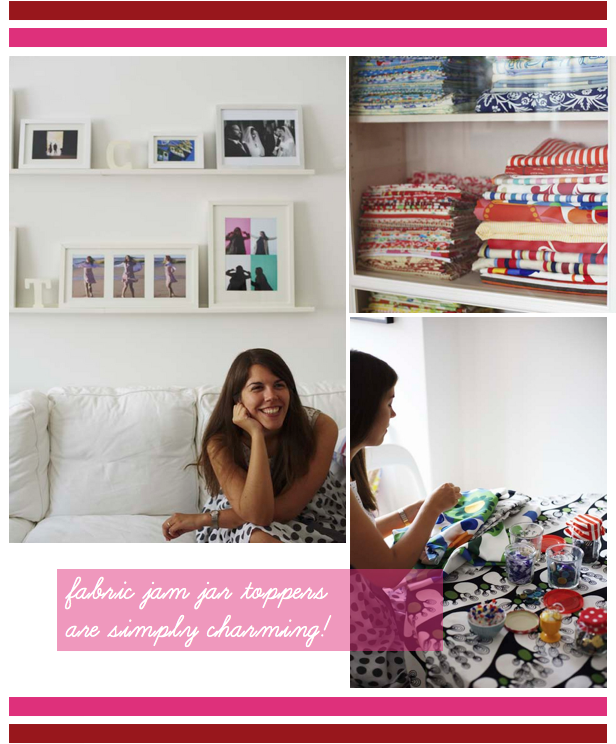 So, even before the fabrics are used, they are already a central part of her space. 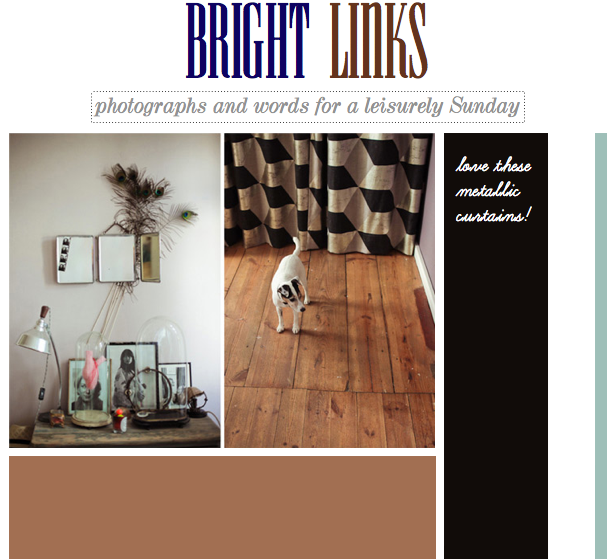 Yesterday I guest posted over on Jane's wonderful blog Ill Seen, Ill Said, where I shared the little space from which I blog. 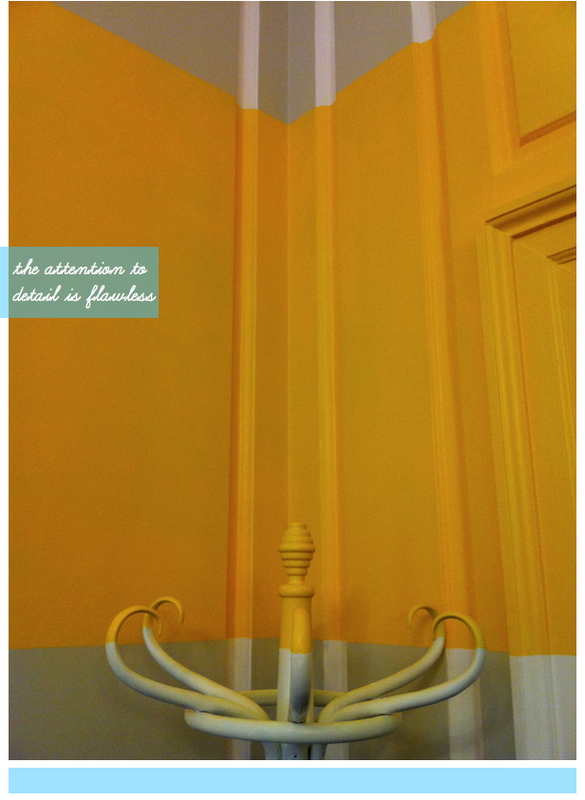 If you wish, please do head on over to Jane's blog to hear my thoughts on why I decorated the space in the way I did. In the meantime, here's a peek into my workspace. 1. I didn't realise how much I missed wearing my peacoat. 2. I felt inspired by the colours of these pink berries. 3. 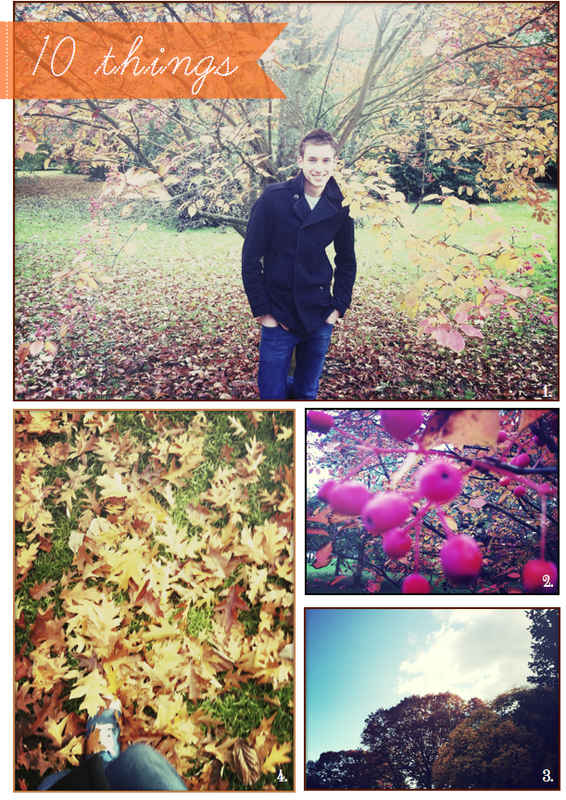 Cold and crisp autumnal days are divine. 4. Kicking your feet through golden leaves is quite addictive! 5. 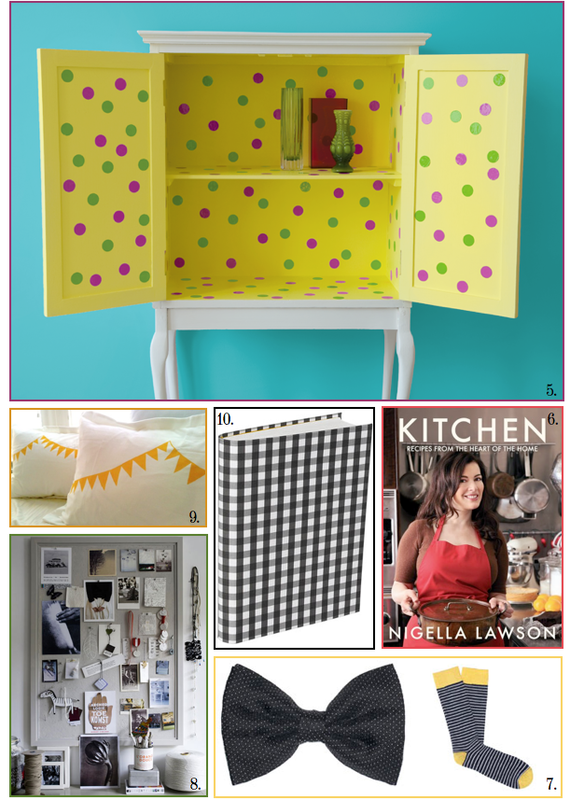 I am so eager to get crafty on a cabinet after discovering this project. 6. Nigella's new series is AH-mazing. 7. Any store that stocks polka dot bow ties and stripy socks is a winner to me! 8. 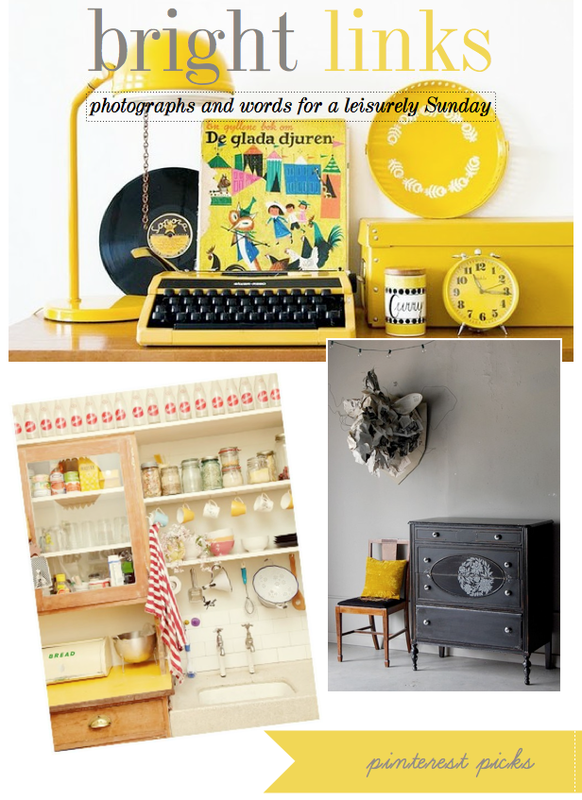 This inspiration board is awesome. 9. These bunting pillows are so simple, but so fun. 10. Over the last couple of days I've found myself craving black and white checks. 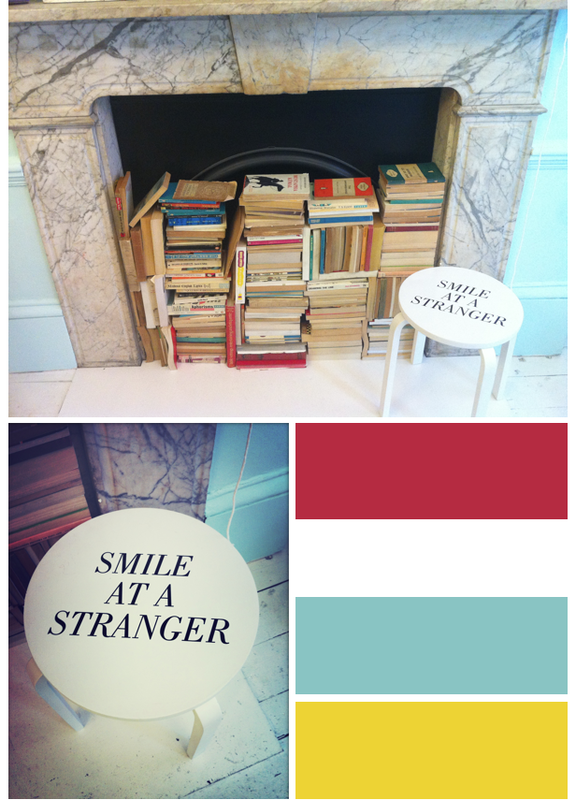 I've found endless inspiration over on pinterest this week. Digging the preppy lumberjack style. Check out lovely Louise on the cover of Real Living. Can you imagine swimming with this view? 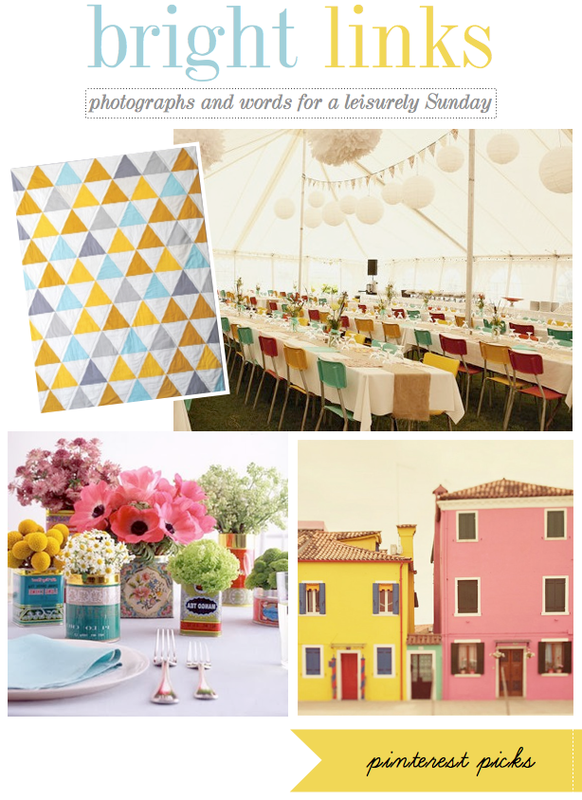 Washi Tape Bunting was my favourite stationery find of the week. This weekend I'm hoping to do some writing, catch up with old friends who are in town and treat myself to a big bag of M&Ms after being featured on Apartment Therapy twice in one week. 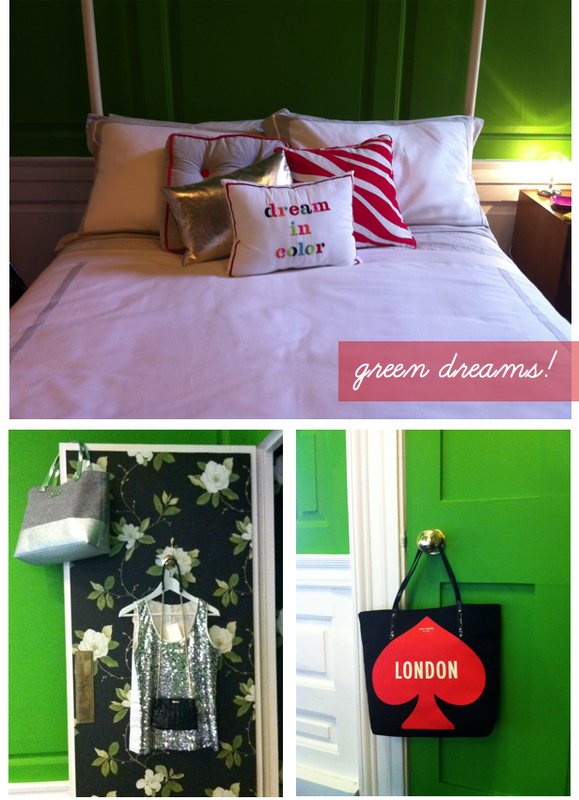 The AT team kindly wrote about my posts on Graham and Jo's London home and Kate Spade's London pop-up store tour. I hope you have a bright, happy and all-round wonderful weekend, friends! Hark! 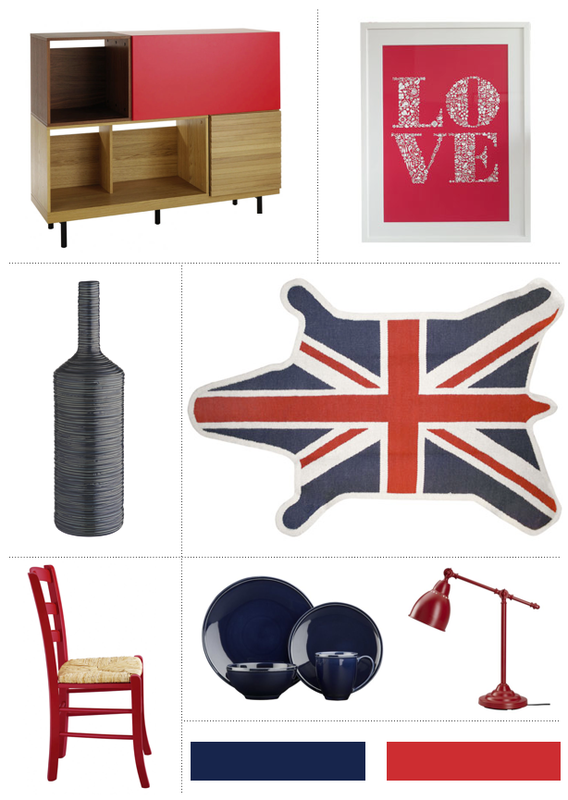 There's a new couple on the block and they're mixing things up with their seductive red style. Rumour has it that they swished into number thirty two carrying cushions, throws and art works dripping with new britannic style. Already deep navy blue fabrics teamed with glossy tomato reds have been spotted glimmering through their upstairs windows so number thirty one won't be the most stylish on this block for long. 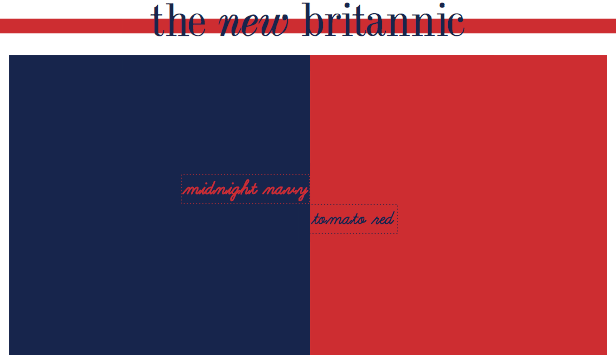 So, guys and gals, it's time to step up the game and order a double round of new britannics! Goodness me, I think this has to be the happiest kitchen I've ever seen. 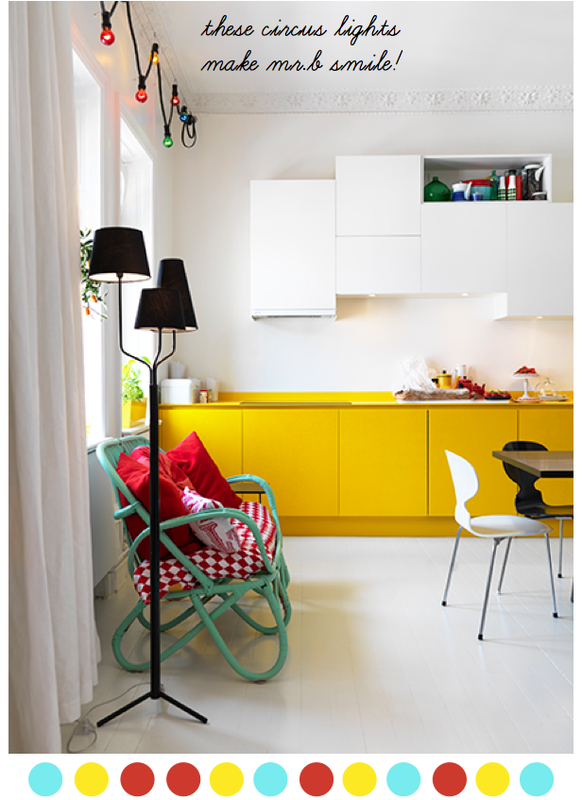 I'm inspired by the bold yet delicate approach to decorating this small, almost nook-sized eating space. 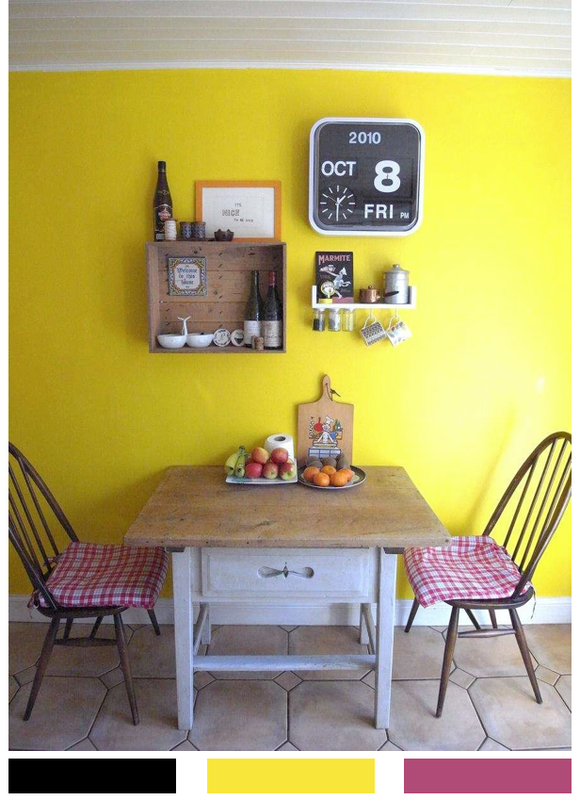 Vibrant yellow walls are anchored by old apple boxes, a modernist flap clock and an utterly adorable utensils shelf. 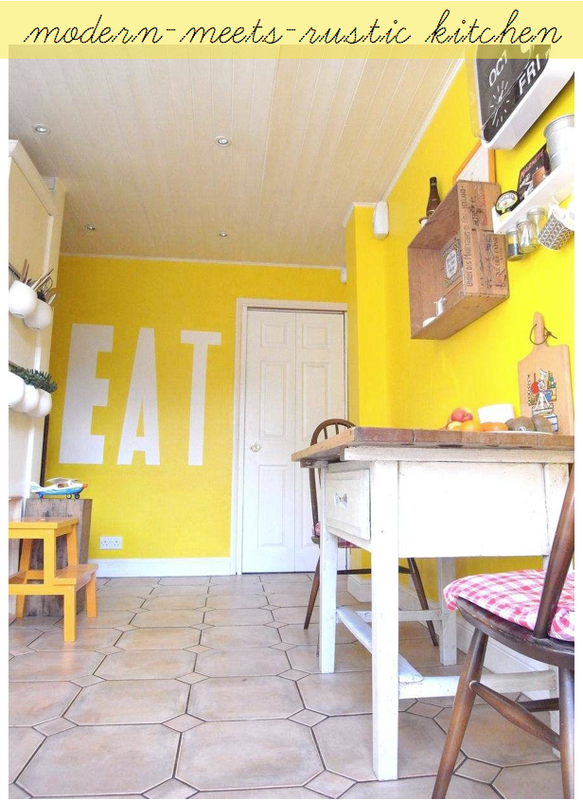 Whilst I'm not normally fond of typography being used to spell out obvious words such as 'eat' and 'sleep' in seems to add nothing but charm to this happy-go-lucky kitchen. Notice how all it takes is a vintage box and the battered wooden table to bring a touch of rustic flavour to the space. So, if you're looking for around meal times, friends, you'll know where to find me! If I was going to host a tea party (hey, tea can be cool!) then you can bet your bottom dollar I'd host it in this delightful home. 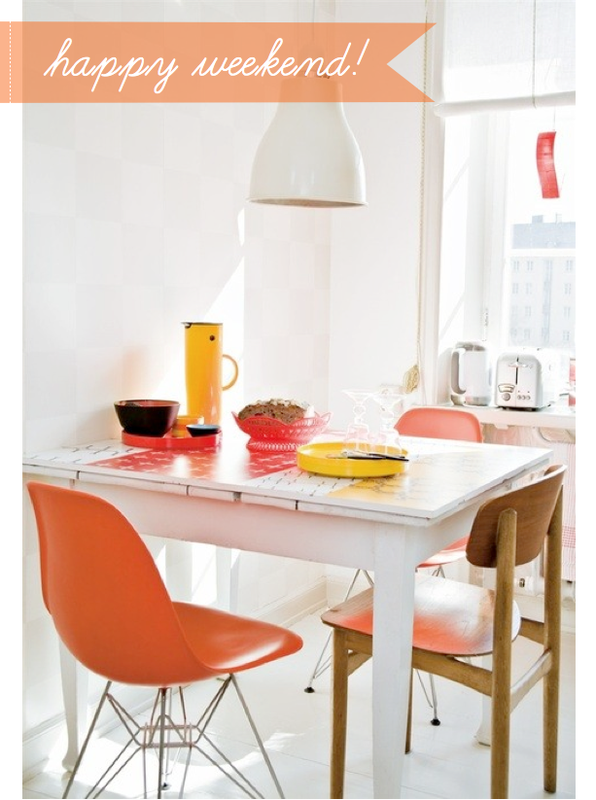 Photographed by Stellan Herner this vibrant home has Bright.Bazaar style stamped all over it. 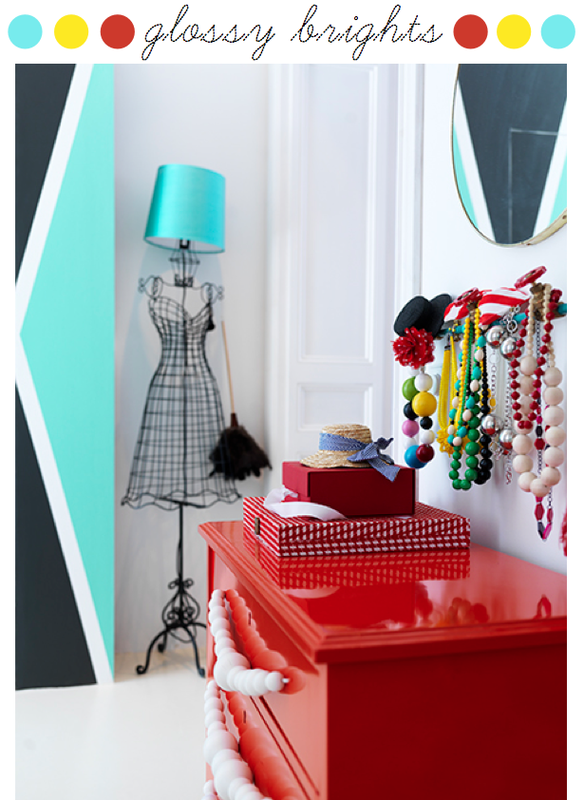 In the bedroom a glossy red chest offsets smooth turquoise accents, whilst black base shades help to turn an art wall into a striking statement in the dining area. 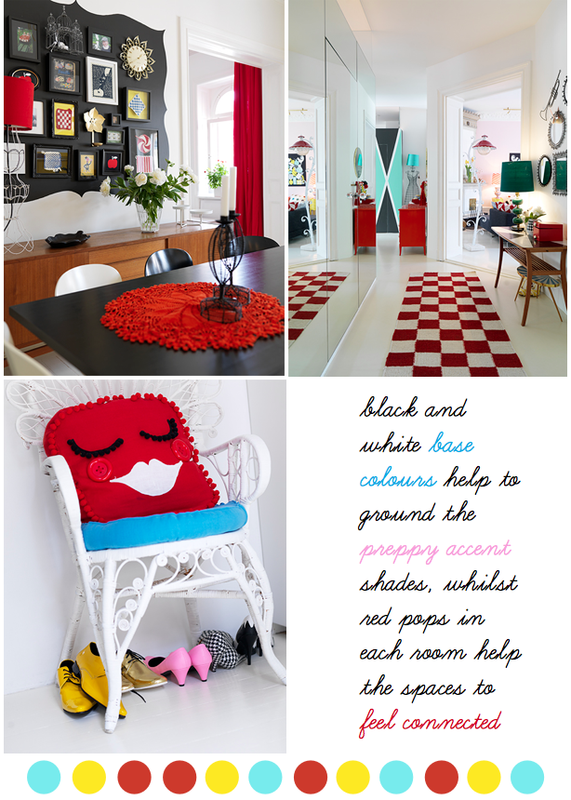 There are bright, preppy hues aplenty but notice how red hues are used throughout to ensure that the different spaces remain connected. Clever use of patterned textiles serve to elongate a narrow corridor, whilst sharp lines on the wardrobe give the illusion of higher ceilings. However, for Mr.B, the real star is the kitchen decor. It holds a wonderful air of whimsy, don't you think? 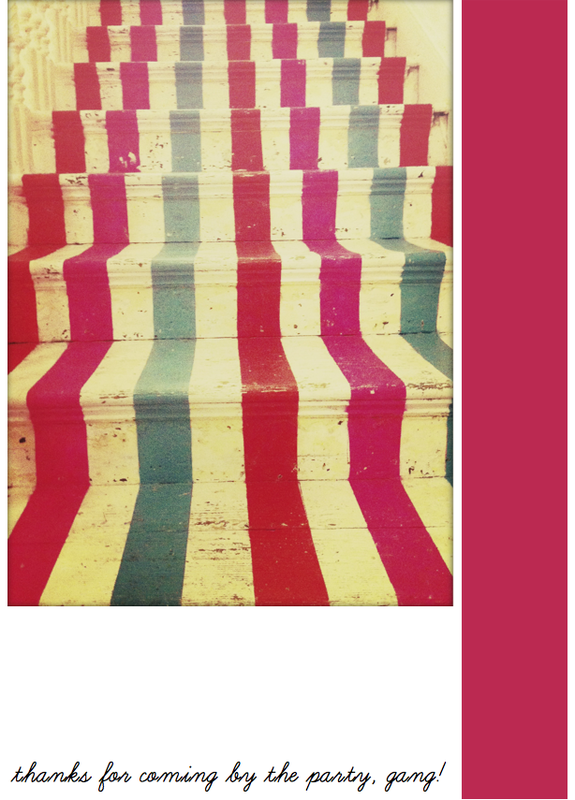 Graham Atkins-Hughes is the talented photographer behind designer Abigail Ahern's book A Girls Guide to Decorating, and for those who have read the book you will be able to appreciate his ability to capture the personality of a space perfectly through his lens. 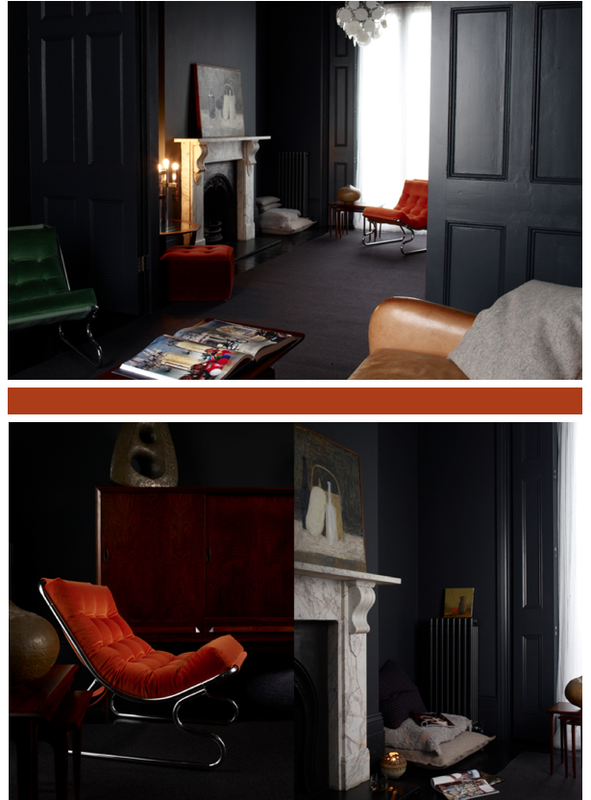 Graham and Jo have recently decorated their East London townhouse in a glorious array of inky hues, with added punchy burnt orange accents to anchor the velvety dark shades. 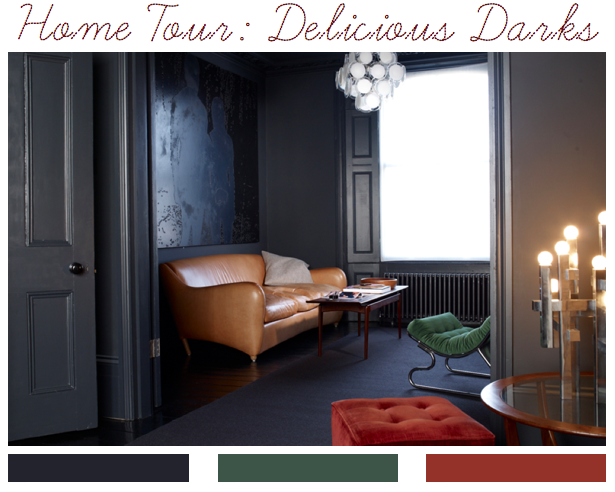 It's refreshing to see a home embracing dark colours across walls, floors and doors in the way the Atkins-Hughes have in their home. 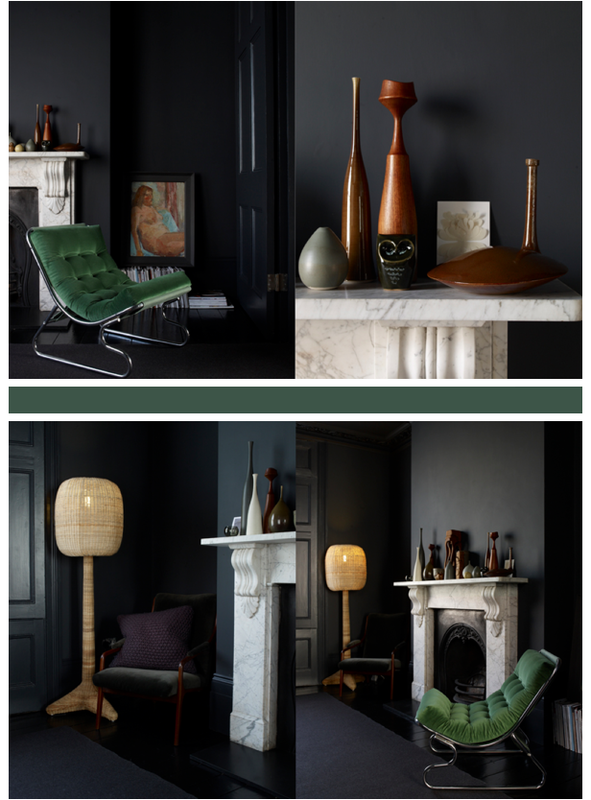 The mix of vintage vases, striking art works and the Racing Green armchair allows their living room to ooze class and sophistication, which continues in their bedroom with floor-to-ceiling teal cabinets. Quite simply: delicious. 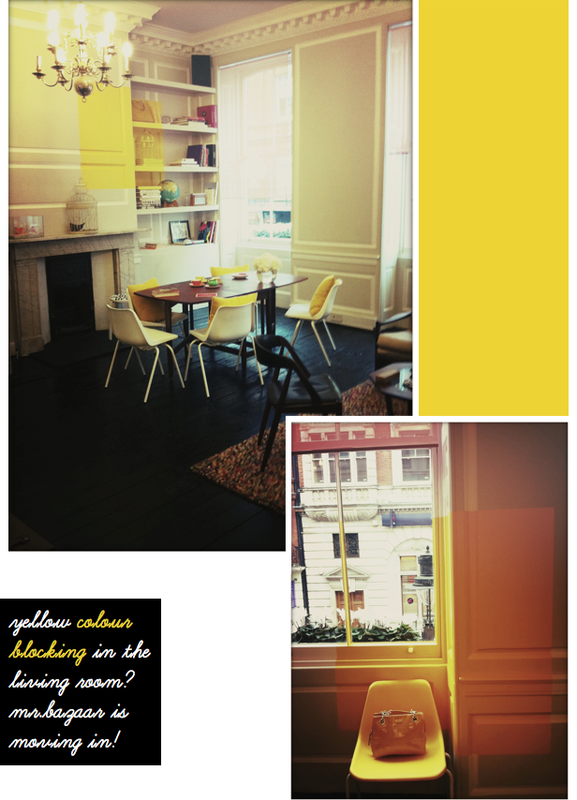 Whats more, if you are looking for a location to shoot in then stop looking because their home is available to hire for editorial and advertising shoots. Pop over to their website for all the details. 1. What do you get when you add an illustrator and New York City for inspiration? All The Buildings in New York, that's what. 2. 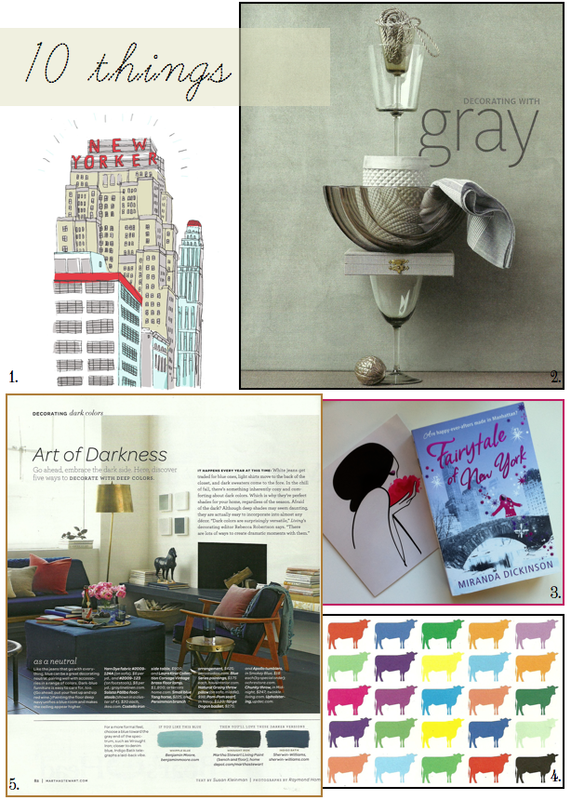 RealSimple's 'decorating with grey' feature was excellent. 3. Miranda Dickinson sent me a signed copy of her book along with a lovely hand-written card after reading my interview with Kelley Moore. If you've read the book, you'll understand why! Thanks, Miranda. P.S. You can read her blog, here. 4. This comments card from Byron restaurant made me smile. 5. 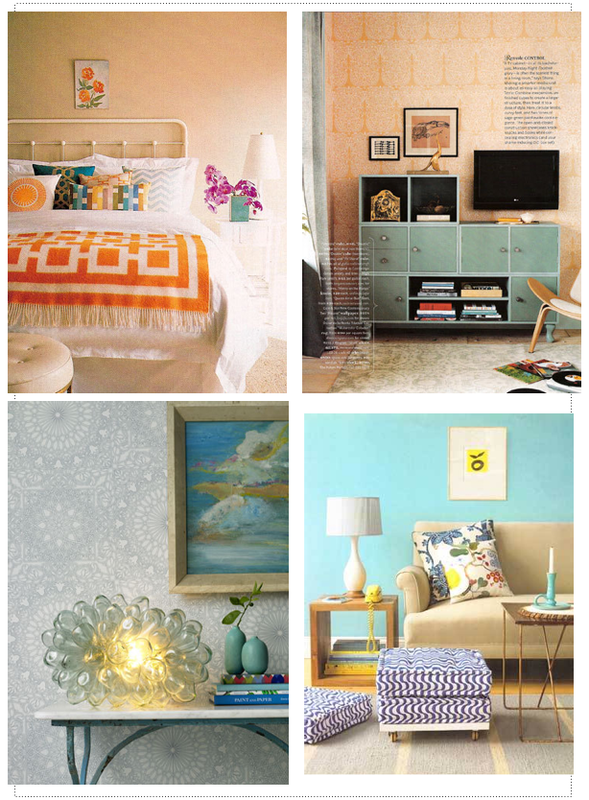 Remember I wrote about decorating with blues for fall in my Rue magazine column? 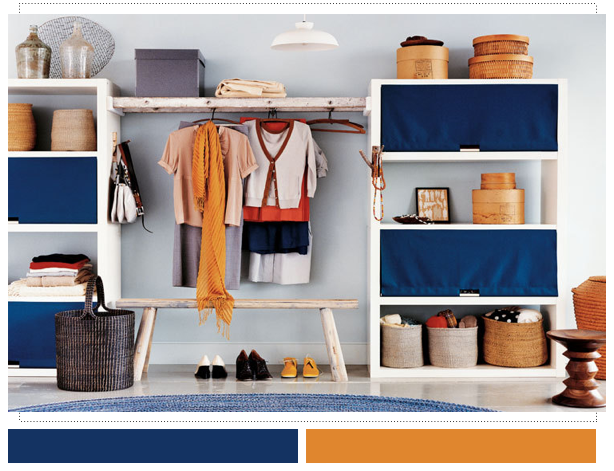 Well, Martha Stewart Living provides more tips and ideas for decorating with blue this season in their October issue. Check it out! 6. 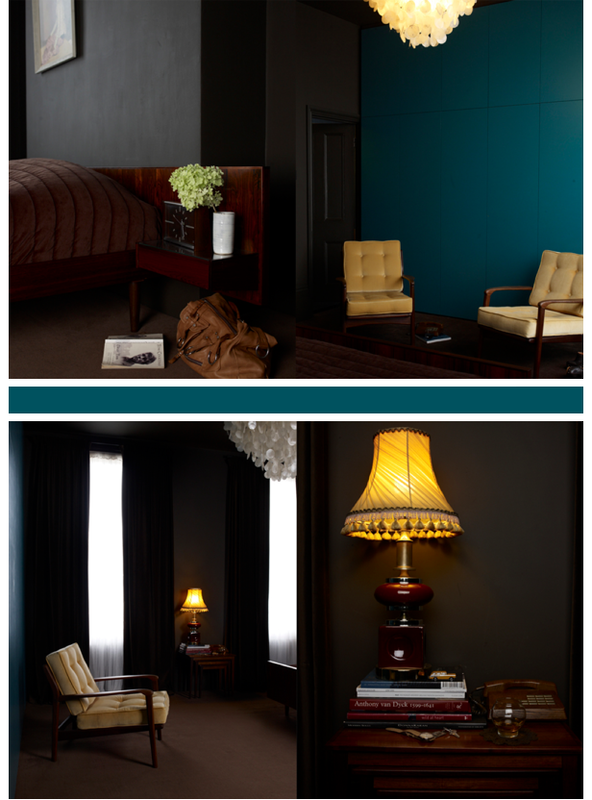 The Lexington Company opened it's virtual doors to the UK and Ireland this week and their styling is spot on. 7. 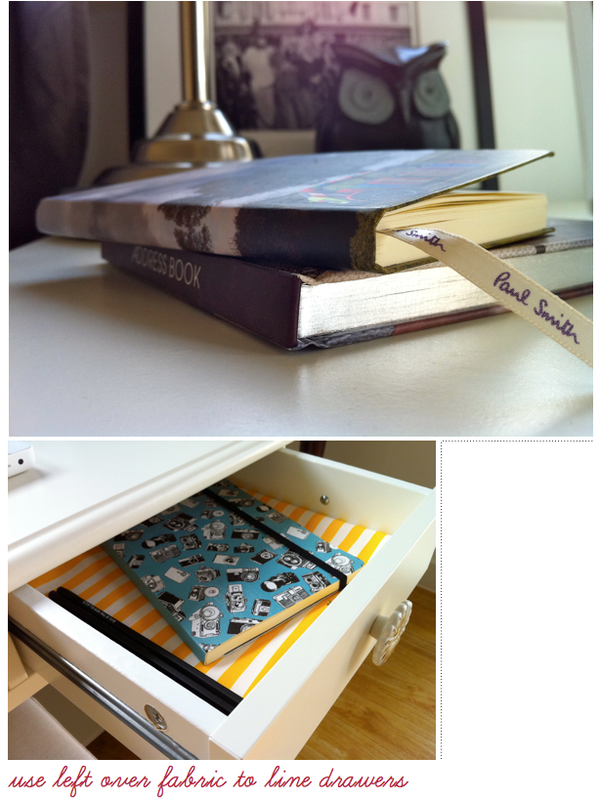 In a goodie bag, notepads from Mini Moderns are often the best freebie. 8. Polka dot coasters? Hell-to-the-yeah! 9. 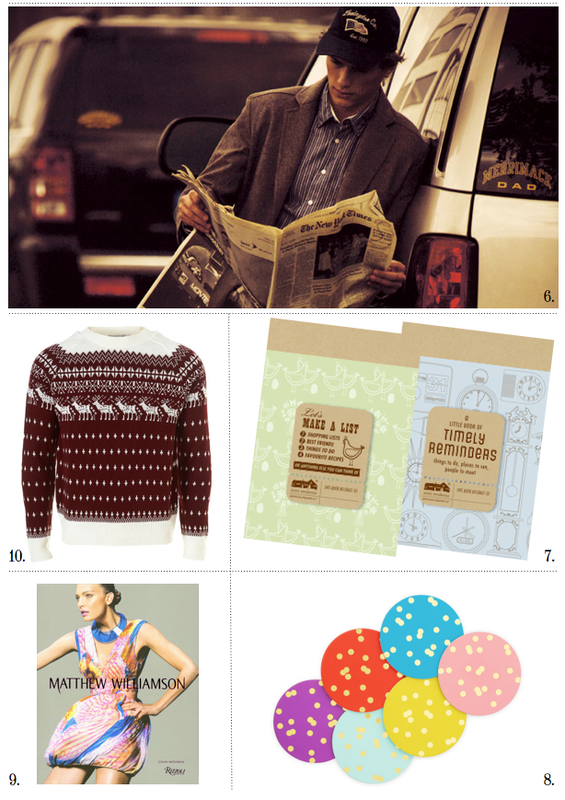 I'd like to buy the Matthew Williamson book for some colourful inspiration. 10. OK, so it might not be catwalk, but this reindeer jumper has my name all over it. 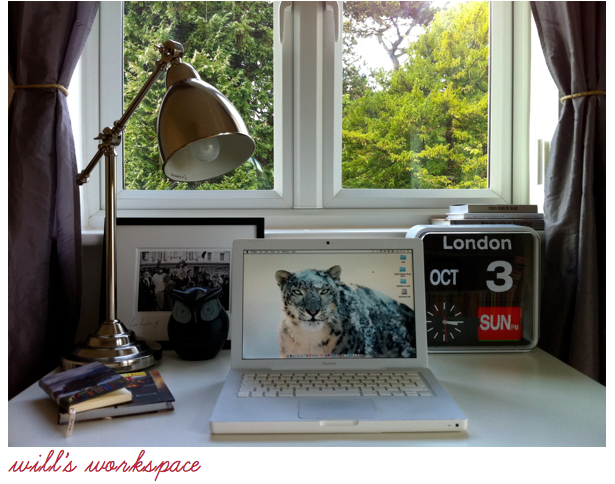 Bri's new 'spaces' series on sfgirlbybay is fast becoming a Monday favourite of mine. A new place to find art on budget. This engagement shoot in London made me smile. Check out these charcoal grey cabinets. Peek inside Coco Rocha's home. Do you find there are some things in life that you just get? 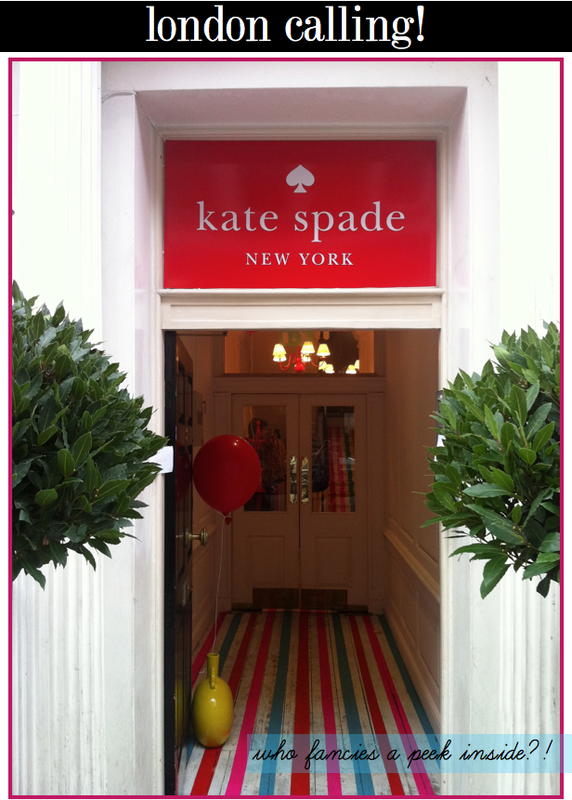 The Kate Spade brand, for me, is one of those things. Their first ever European-based pop-up shop has opened it's doors in Covent Garden, London and let me tell you, it is a treat for the senses. Preppy bright stripes welcomed me as I passed a lofty bunch of bright red balloons swaying gently in the wind, almost waving passers-by to come inside. Once through the double doors, I was greeted warmly by upbeat, knowledgeable and helpful sales assistants, who felt more like friends than staff. I've said it before: American companies know how to do retail. Properly. I was encouraged to relax and take in the space, so I spent time chatting to the staff about the previous evening's launch party. 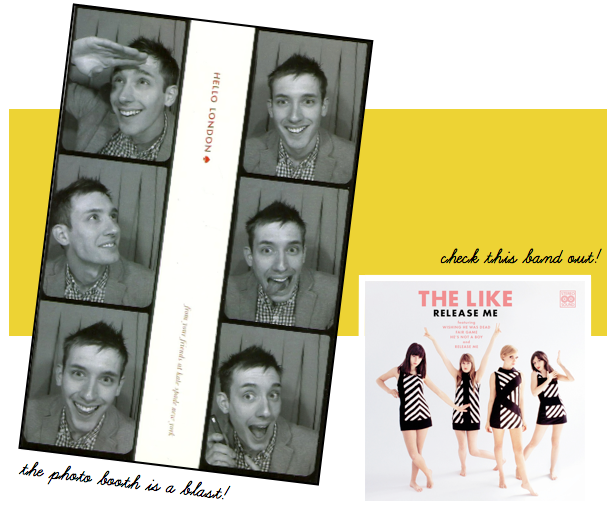 A band called The Like performed; backed by Mark Ronson, they have a cool garage, rock-pop sound. Check them out! 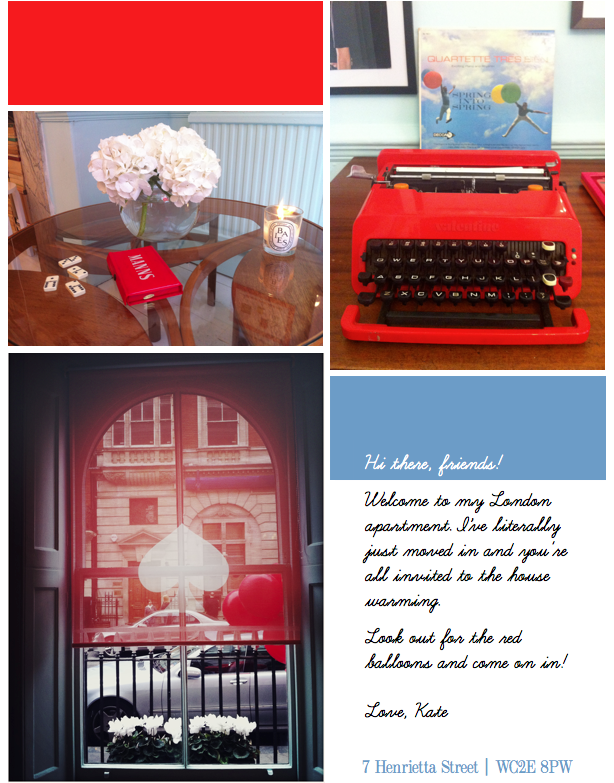 The attention to detail throughout the pop-up shop - which has been designed to look like what Kate's place would look like should she live in London - continues to surprise with each new room. 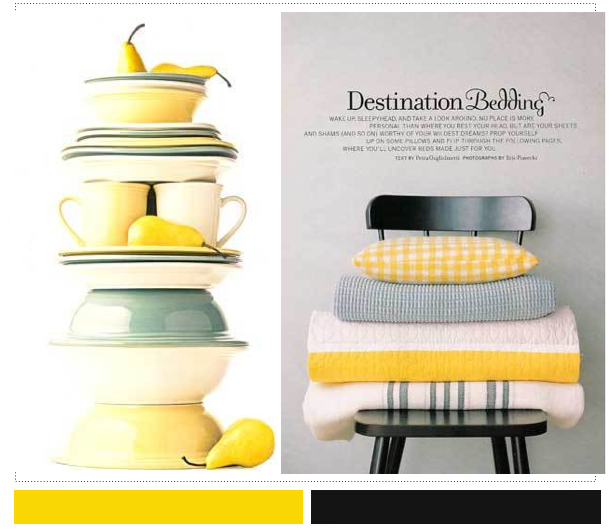 From yellow colour blocking in the living room to chic matt green hues in the bedroom, the visual merchandising is as stylish and iconic as the brand's product assortment. There's even a photo booth which you can jump into and have six snaps taken as a free memento of your in-store experience. 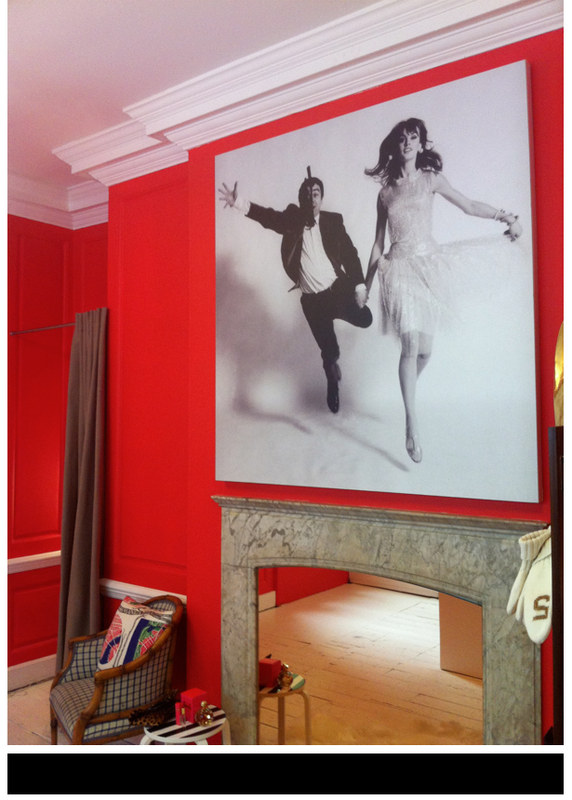 The pop-up shop is open until 10th November after which the brand will open a permanent retail space in Spring 2011. If you are in London then I would thoroughly recommend you pop in - the hour I spent inside the shop yesterday was the best fun I've had shopping in a long while. 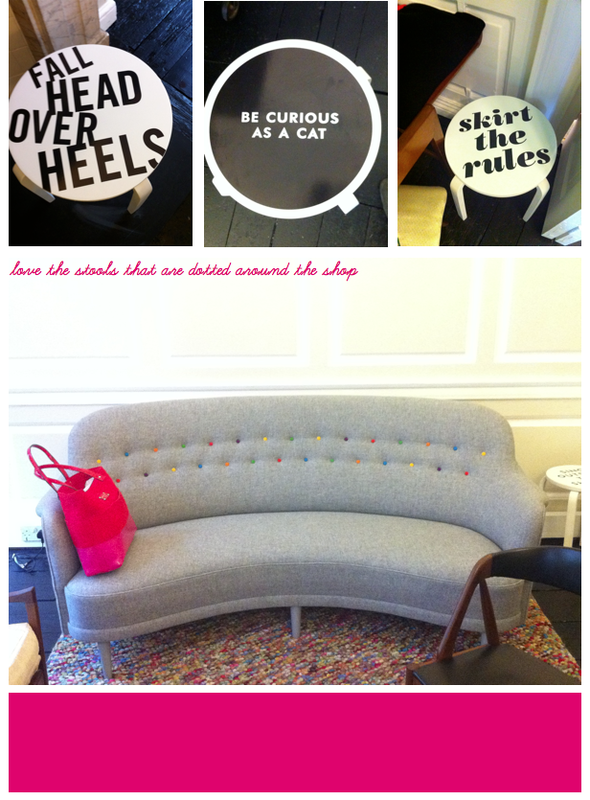 Well, with that utterly fabulous grey sofa, how could it not be? !